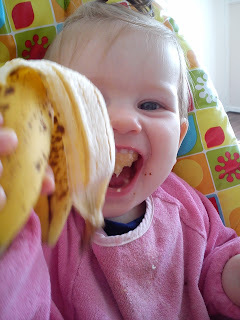 Since we started Eva on solids at 6 months I have become a bit obsessed with eating organic foods. I have this need to be knowledgable when I start something so I had to know exactly what was best. I never gave her baby rice I didn't listen to other people who thought they knew better because thats how they did it. No way was I going to give Eva a rice bottle from 2 months of age because it was done for their babies. I believe babies cannot digest the rice well so never used it and only introduced oats around 7 months when Eva began having porridge. Again this was steel cut oats, which I ground myself, mixed with my breast milk, added a tsp of flax seed, and she loves it. We still give her this. Anyways, I am so passionate about eating organic, and really really love my food that it is nice to know you are getting something that's not had chemicals and is really good for you. I like to cook from scratch every day, so does mean I do a LOT of cooking because I hate processed foods. I do still eat them, don't get me wrong, everyone likes convenience but only if I am so tired and there is nothing else to eat. 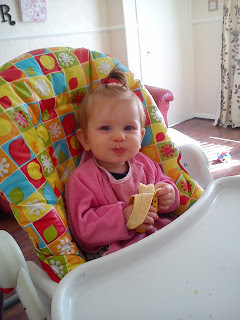 Monday tends to be the day I will cook for Eva, she absolutely loves organic Celeriac. I had family say to me 'What's that?' haha they had never even heard of it! Its grown in the ground lol and tastes quite anaseedy. The best website I found for my all my go to baby recipes is http://www.homemade-baby-food-recipes.com/. Totally amazing recipes that I find are tasty enough for the whole family. I have totally rambled with this but I just believe organic food is better because its pesticide free and better. There are more and more cancers in this world now which must be coming from somewhere and many believe its the pesticides. People who eat non-organic have lower sperm counts I read in a study. I just really want the best for my baby especially if there isn't 100% knowledge on the matter as yet. Eva agrees, organic is best! So before you offer my child chocolate or non organic juice, just know I am not going to let her have this. Plain water is fine and fruits and vegetables are perfect. Hey that's just my two cents worth on the matter. Oh, if we have to buy jarred food we only eat Hipp organic, its convenient for when you are out and about and can't heat your own cooked food and Eva loves it too. Take it easy, let me know your views too!